Sometimes known as the "Big Easy", New Orleans is the largest city in Louisiana, and one of the oldest cities in the United States. As of the 2000 census, its population was 484,674. In 2005, Hurricane Katrina caused the city's evacuation. Parts of the city were flooded and there was extensive damage from both flooding and the winds. 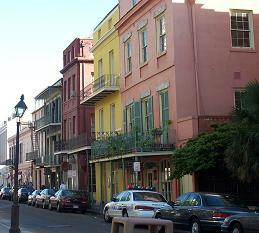 New Orleans has been recovering since then, with people gradually returning - as of October 2006, the population was estimated as 187,525, although this figure is disputed by some. There are many reasons to visit New Orleans: The city is known for its rich history and French heritage, its unique culture, excellent food, jazz music, and most especially for the Mardi Gras celebrations. Probably the best known educational institution in New Orleans is Xavier University of Louisiana, which is a private coeducational liberal arts college. Professional sports franchises in New Orleans include the American football team, the New Orleans Saints, and the basketball team, the New Orleans Hornets. The principal airport serving New Orleans is Louis Armstrong New Orleans International Airport. New Orleans has many nicknames including "America's Favorite City", "America's Most Interesting City", "America\�s Most European City", "America's European Masterpiece", "The Big Easy", "Birthplace of Jazz", "City of the Chefs", "City of Festivals", "City of Mystery", "Mardi Gras City", "Nawlins", "New York of the South", "NOLA", "Paris of the South", "Queen City of the South", "The Queen of the Mississippi", "Saint City", "Super Bowl City", "The City that Care Forgot", and "The Crescent City". •EXPANDED COVERAGE: New hotel and restaurant recommendations have been added in up-and-coming neighborhoods throughout New Orleans. The “Under-the-Radar New Orleans” feature will help visitors live like a local and see the quirky not-for-tourists side of the city. •ILLUSTRATED FEATURES: A Mardi Gras feature, including a parade schedule, helps revelers plan their time. A colorful primer on New Orleans music provides basics about making the most of your Jazz Fest experience and how to best enjoy local music year-round. Features on New Orleans cuisine and cocktail culture identify the best eats and drinks. •INDISPENSABLE TRIP PLANNING TOOLS: Neighborhood orientation pages with maps, top reasons to go, and information for making the most of your time, make planning a snap. Easy to use, atlas-style dining and lodging maps makes finding everything easy. •SPECIAL EVENT COVERAGE: Mardi Gras in February or early March and Jazz Fest in April are two of the biggest annual events. •DISCERNING RECOMMENDATIONS: Fodor's New Orleans offers savvy advice and recommendations from local writers to help travelers make the most of their visit. Fodor's Choice designates our best picks in every category. Explore the busy streets of New Orleans, including the French Quarter and Bourbon Street, see where to get the best beignets and hurricanes, and find the best places to shop. Discover DK Eyewitness Travel Guide: New Orleans. With hundreds of full-color photographs, hand-drawn illustrations, and custom maps that illuminate every page, DK Eyewitness Travel Guide: New Orleans truly shows you this country as no one else can. Lonely Planet’s Pocket New Orleans is your passport to the most relevant, up-to-date advice on what to see and skip, and what hidden discoveries await you. March with a brass band through the French Quarter, eat everything from jambalaya to beignets, and take a walking tour past the Garden District’s plantation-style mansions – all with your trusted travel companion. Get to the heart of New Orleans and begin your journey now! The Perfect Choice: Lonely Planet’s Pocket New Orleans is our colorful, easy to use, handy guide that literally fits in your pocket, providing on-the-go assistance for those seeking the best sights and experiences on a short visit or weekend break. Few cities anywhere are as vibrant, historically rich, and just plain fun as New Orleans. But it’s not a “dummy proof” destination. Too many travelers leave town wondering what all the fuss is about. That doesn’t happen to those carrying this book. Written by frequent Frommer author and journalist, Diana K. Schwam, Frommer’s EasyGuide to New Orleans 2019 introduces travelers to the experiences other visitors miss; and has the type of insightful commentary on the iconic sights that brings them to life. The book includes special sections for those who are visiting during Mardi Gras and Jazz Fest; and day trips to nearby plantations and nature sights. Finally, there’s exact pricing for every item in the book, along with transportation tips, to help make your vacation worry free. The book is updated yearly and printed in large, easy-to-read type. Streetwise New Orleans Map is a laminated city center map of New Orleans, Louisiana. The accordion-fold pocket size travel map has an integrated streetcar & bus lines with stations. Visit the “Crescent City” and experience the intoxicating blend of people and cultures. Explore the unique neighborhoods, atmospheric places to stay, incomparable local eateries and outstanding venues to kick back and listen to jazz, Cajun and blues. The pocket size map of New Orleans is laminated for durability and accordion folding for effortless use. The STREETWISE® New Orleans map includes an index of sites, hotels, parks, museums, and food and drink options. Buy your STREETWISE® New Orleans map today and you too can navigate New Orleans, Louisiana like a native. For more detailed travel information on the city of New Orleans, look for our new series Michelin Green Guide Short Stays New Orleans. Most people don't even take the time to prepare themselves in advance, and just wish for the best once they have arrived! Most people aren't aware of some of the most amazing places New Orleans can offer... And it'd be such a pity to miss them! That's precisely why we desperately need the RIGHT travel guide first. Don’t arrive to New Orleans (Louisiana) and follow the crowds of Tourists. With this exclusive travel guide made by locals you will be finding about the places that don’t come on Lonely Planet’s or are listed on Trip Advisor where thousands of tourists head daily. The Perfect Choice: Lonely Planet’s New Orleans is our most comprehensive guide to New Orleans, and is perfect for discovering both popular and offbeat experiences. Greater Than a Tourist – New Orleans, Louisiana USA by Dan Thompson offers the inside scoop on historic Crescent City New Orleans, the Big Easy. Most travel books tell you how to travel like a tourist. Although there is nothing wrong with that, as part of the Greater Than a Tourist series, this book will give you travel tips from someone who has lived at your next travel destination.In these pages, you will discover advice that will help you throughout your stay. This book will not tell you exact addresses or store hours but instead will give you excitement and knowledge from a local that you may not find in other smaller print travel books. A bonus book “50 Things to Know About Packing Light for Travel” by bestselling author Manidipa Bhattacharyya. Packed with color photos, this bestselling guide offers itineraries that show you how to see the best of the New Orleans in a short timewith bulleted maps that lead the way from sight to sight. Featuring a full range of area and thematic tours, plus dining, lodging, shopping, nightlife, and practical visitor info, Frommer’s New Orleans day by day is the only guide that helps travelers organize their time to get the most out of a trip. - Sample one- to three-day itineraries including neighborhood walks of the French Quarter, the Garden District and Uptown. Our author is Diana K. Schwam who also pens the best-selling Frommer’s EasyGuide to New Orleans and is a much-respected, and much-published, expert on the city. 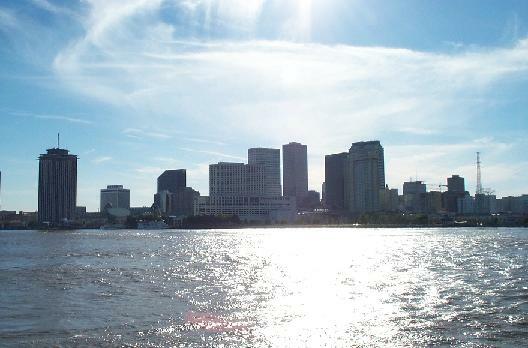 From neighborhoods such as Lakeview and Mid-City to landmarks including the Saenger Theater and Mercedes Benz Superdome, from its restaurants and music clubs to its parks and museums, the Big Easy has regained the title of one of the world's most fascinating cities. 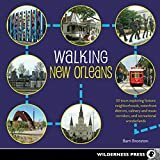 In Walking New Orleans, lifelong resident and writer Barri Bronston shares the love of her hometown through 30 self-guided tours that range from majestic St. Charles Avenue and funky Magazine Street to Bywater and Faubourg Marigny, two of the city's "it" neighborhoods. Within each tour, she offers tips on where to eat, drink, dance, and play, for in addition to all the history, culture, and charm that New Orleans has to offer -- and there's plenty -- Faubourg Marigny it provides tourists and locals alike with one heck of a good time.